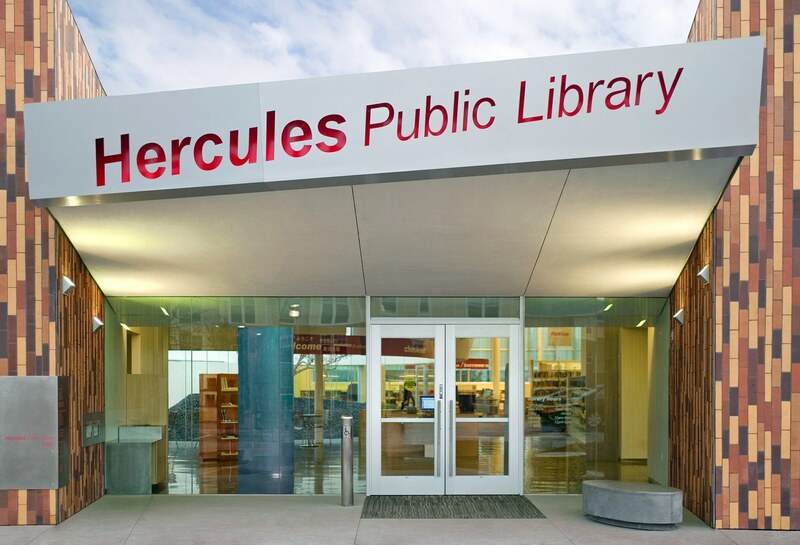 Doubling as a library and community center, the 21,500-SF Hercules Public Library houses approximately 800,000 books and periodicals, computer stations, children’s “Story Cove,” reading area with fireside seating, and café. 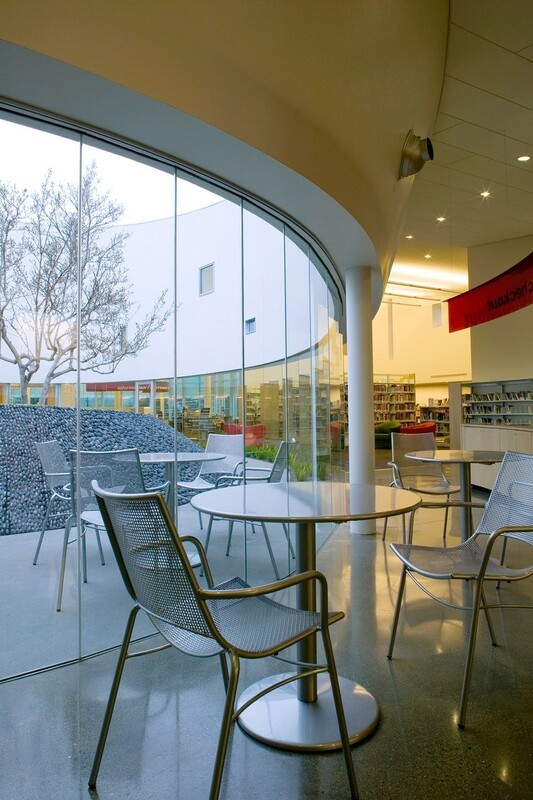 The design integrates an enclosed courtyard–or sky garden–that directs natural light into the interiors. The sky garden separates the adult and children’s areas while bright primary colors and materials further define the visual separation between spaces and circulation. 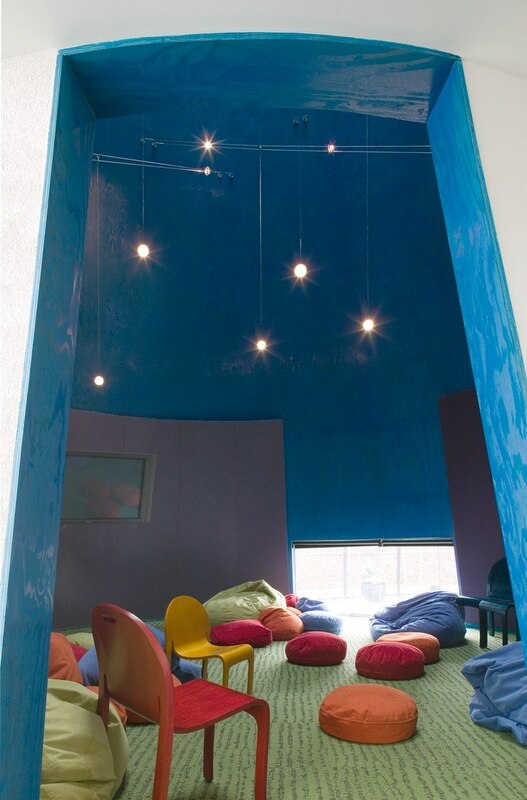 In the Story Cove, for instance, a deep-blue starry plywood ceiling, green carpeting and varied-colored pillows and beanbags offer a delightful children’s retreat. 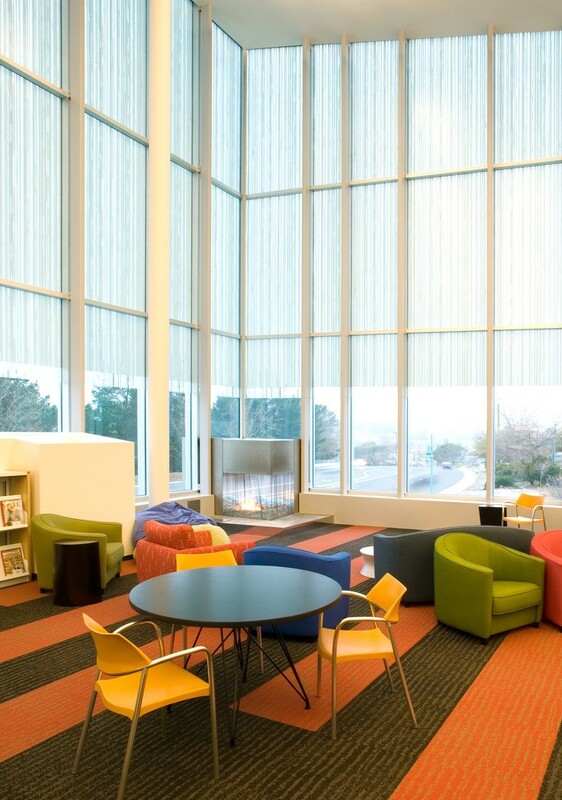 In the adult reading area, colorful chairs and expansive windows create an inviting, relaxing space. 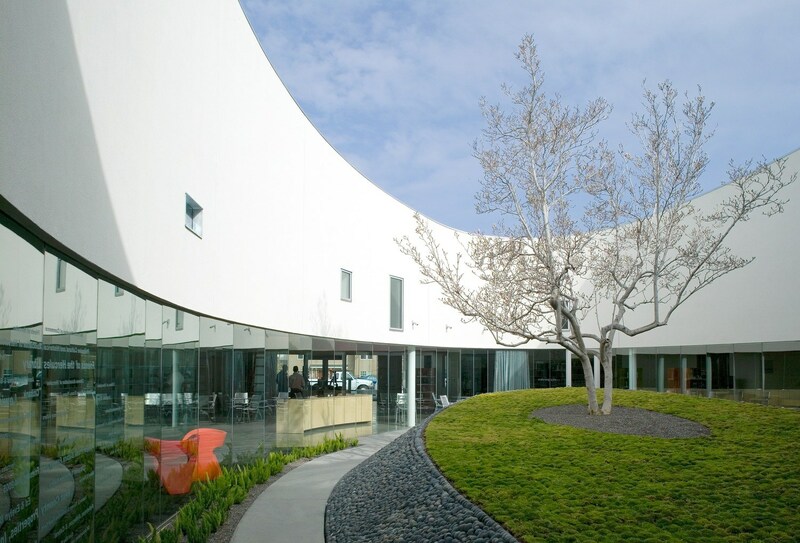 This project was done in collaboration with Will Bruder+Partners.